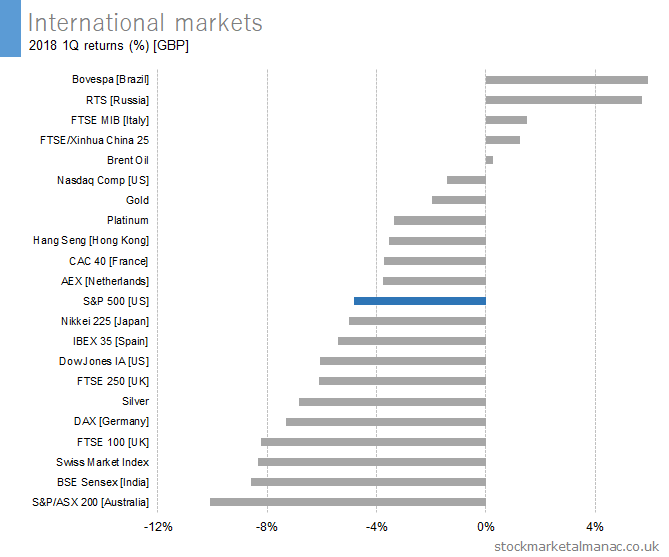 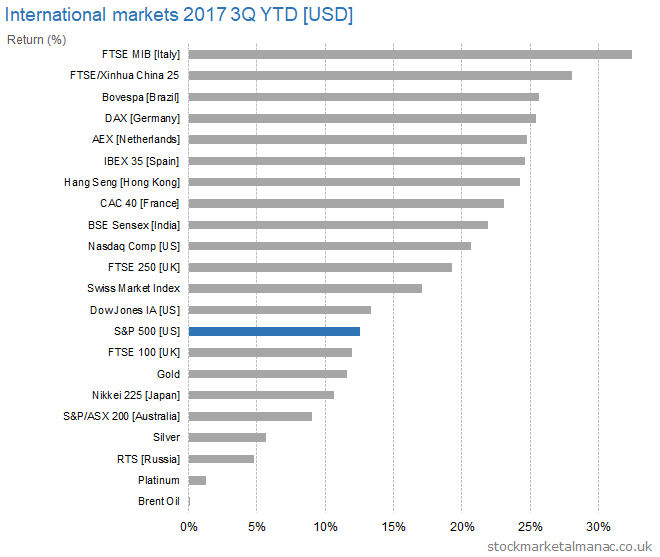 The following charts plot the performance of a selection of world markets in 2017. 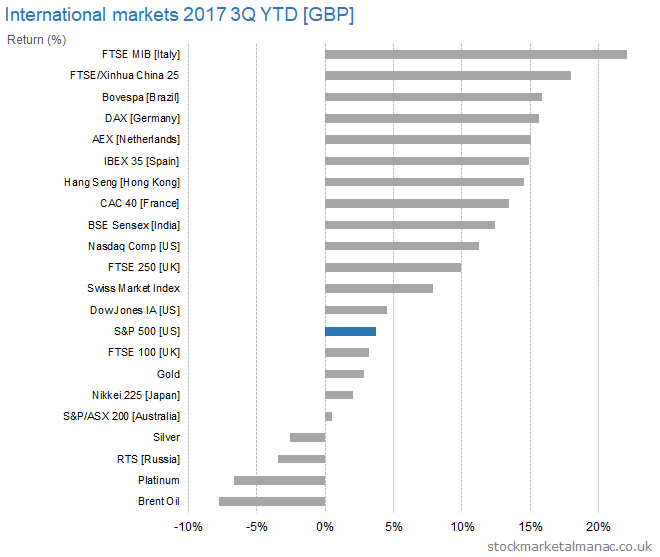 The following table gives a summary of performance for the fourth quarter, second half and full year in 2017. 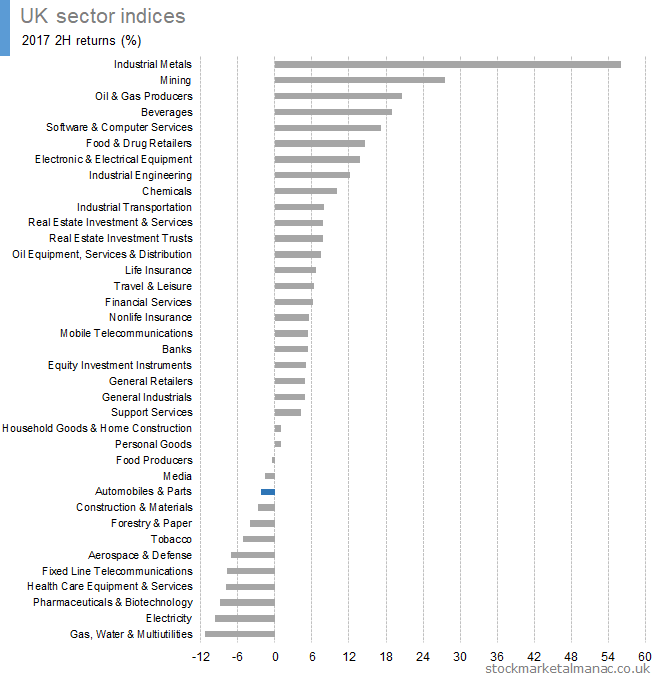 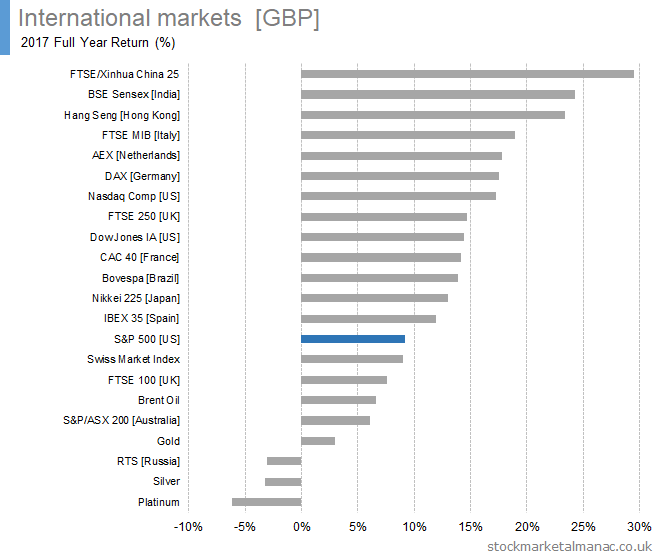 The following chart plots the GBP-adjusted returns (i.e. 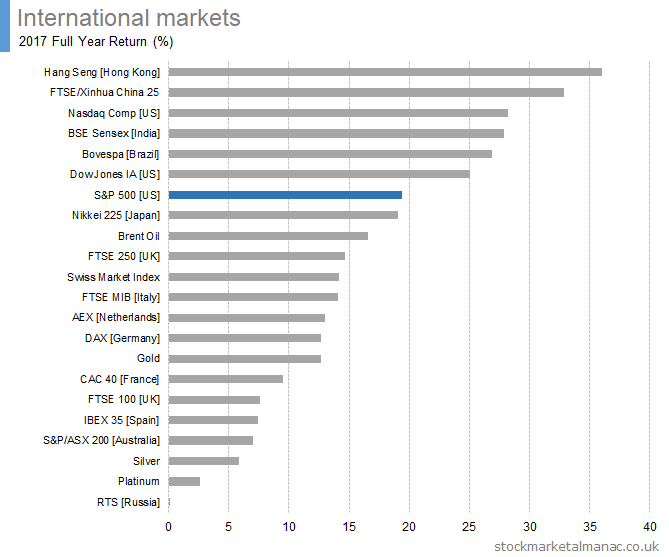 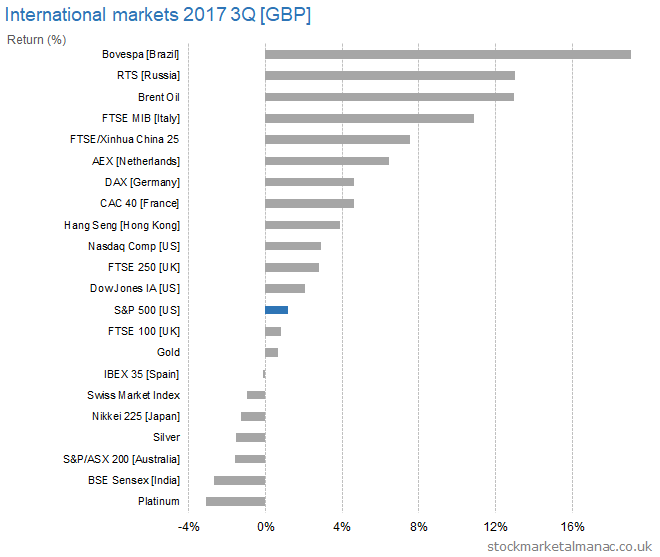 these are the returns for a GB pound investor) for the full year 2017. 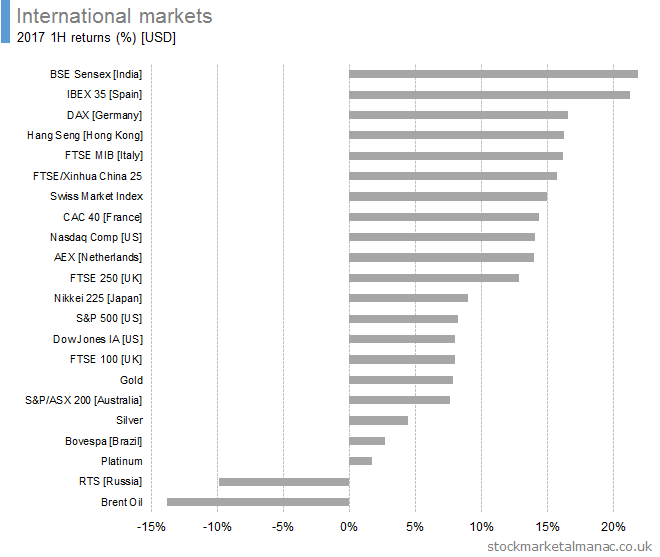 The following chart plots the USD-adjusted returns (i.e. 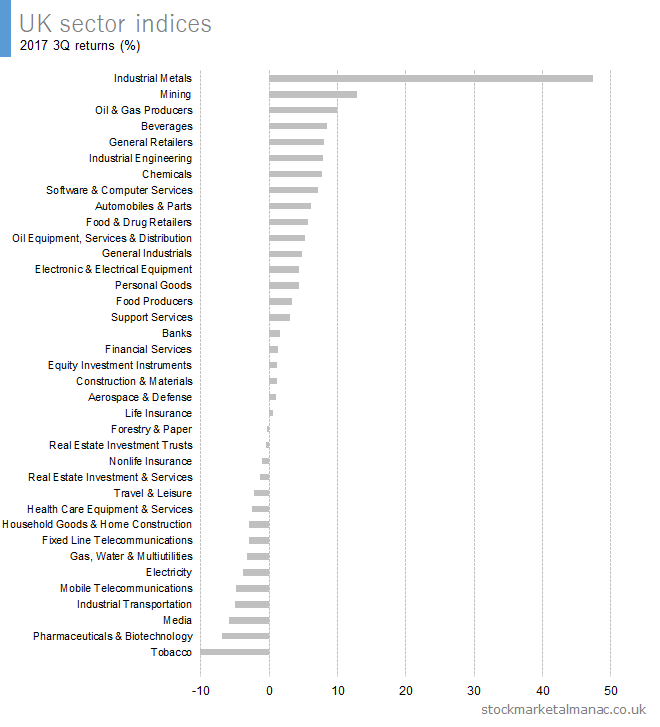 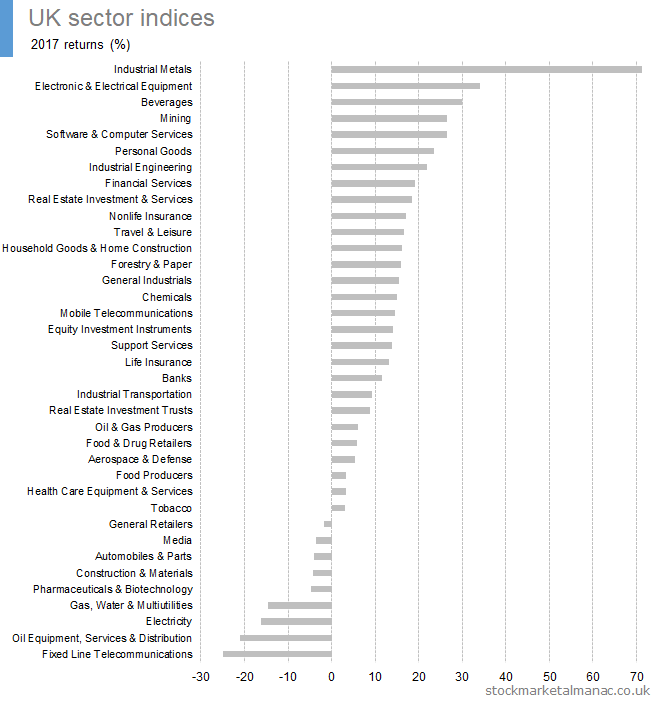 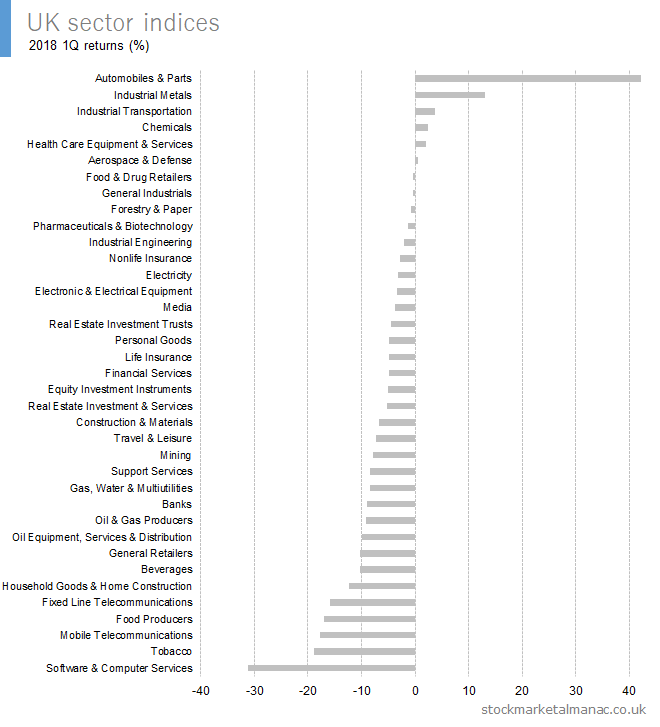 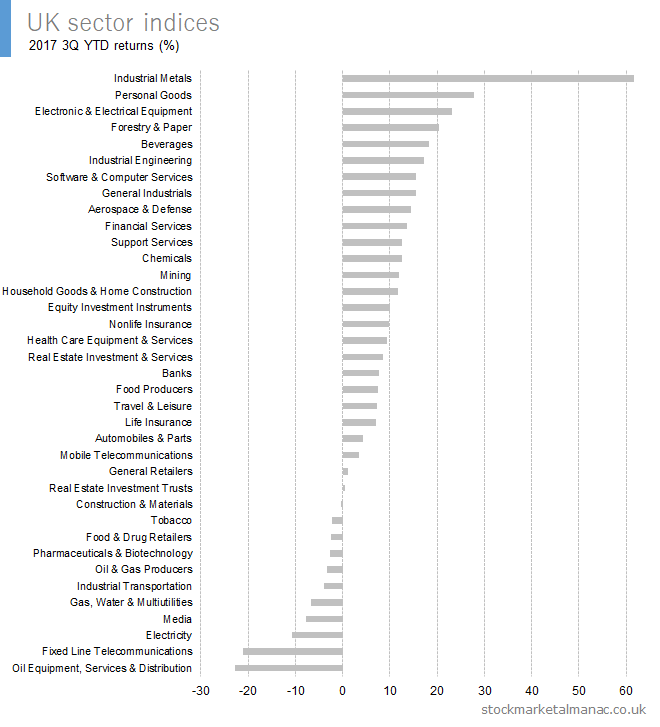 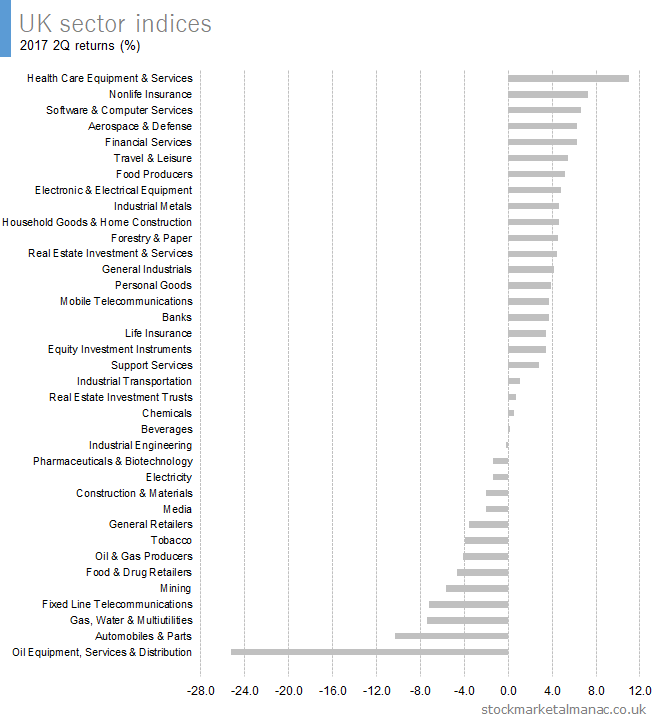 these are returns for a US dollar investor) for the full year 2017. 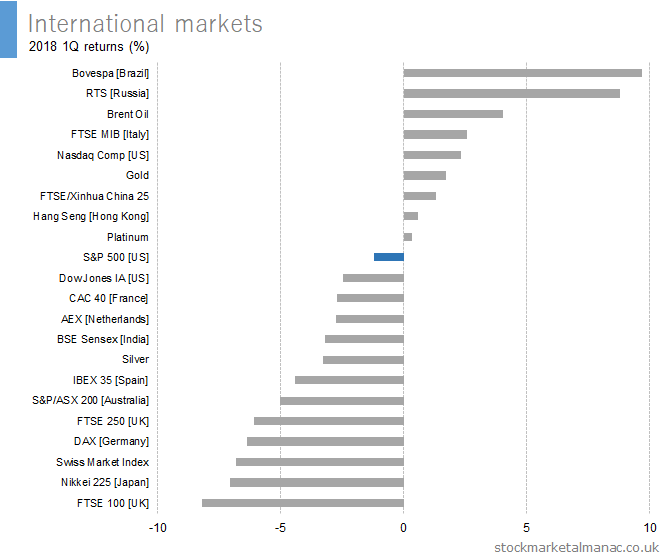 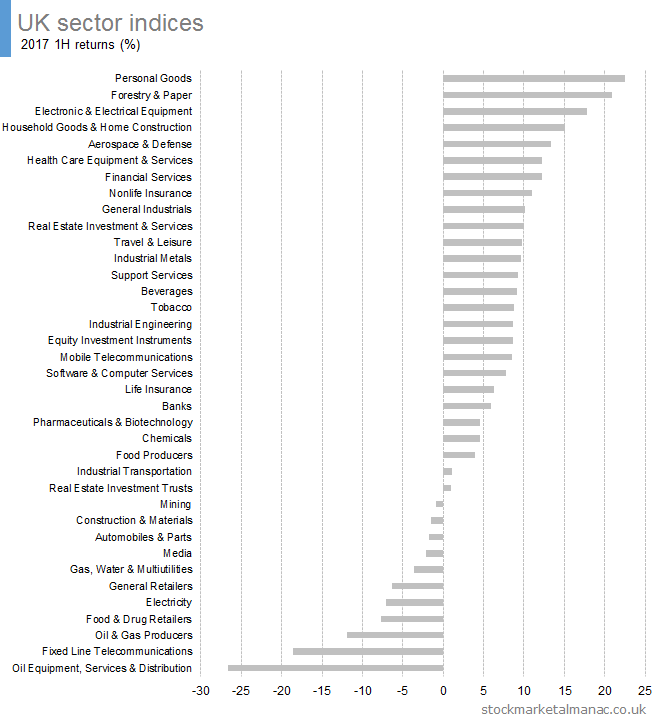 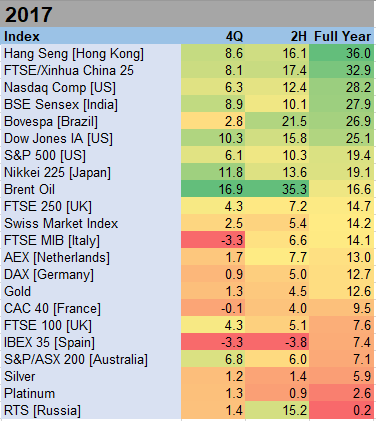 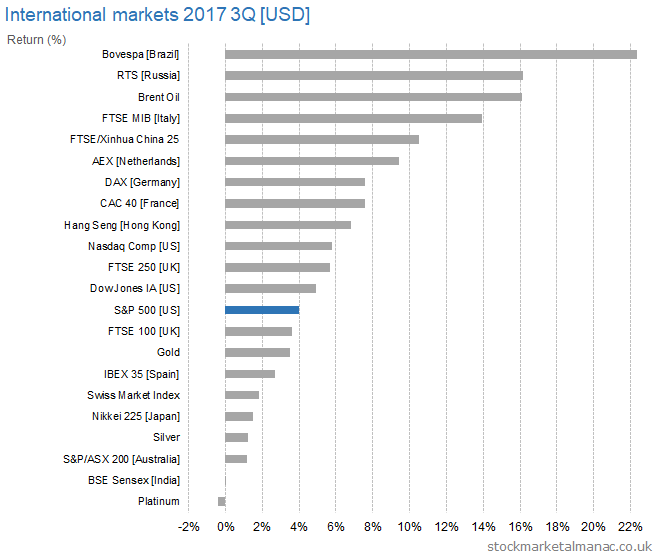 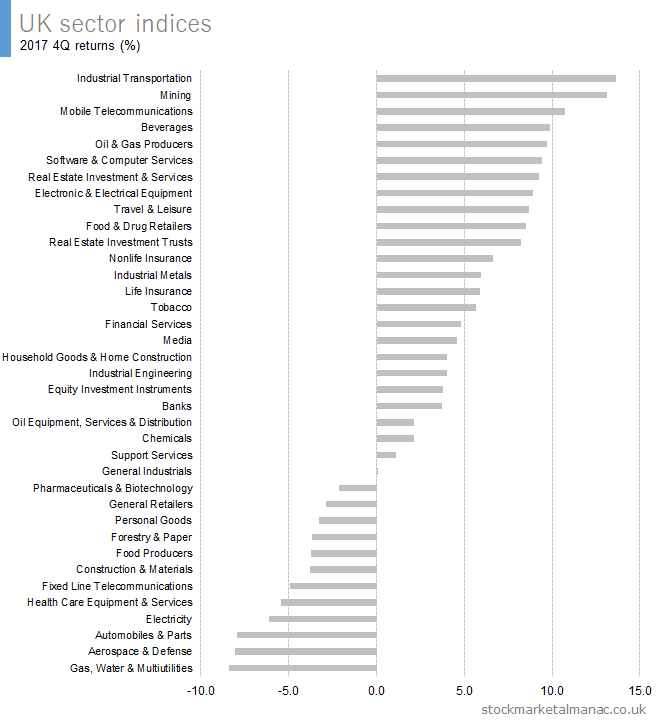 The following charts plot the performance of a selection of world markets in the 3rd quarter 2017. 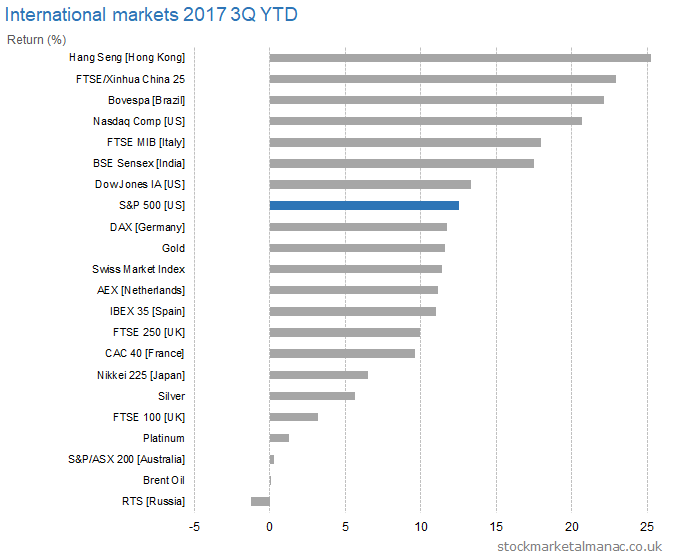 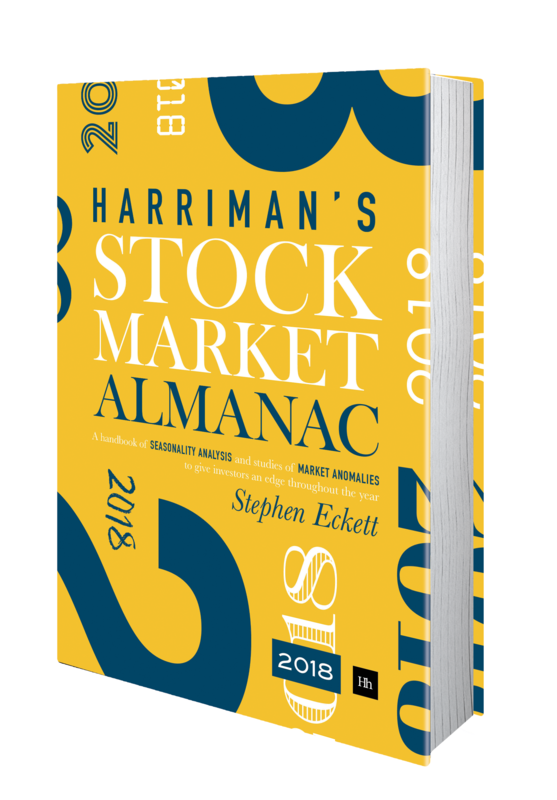 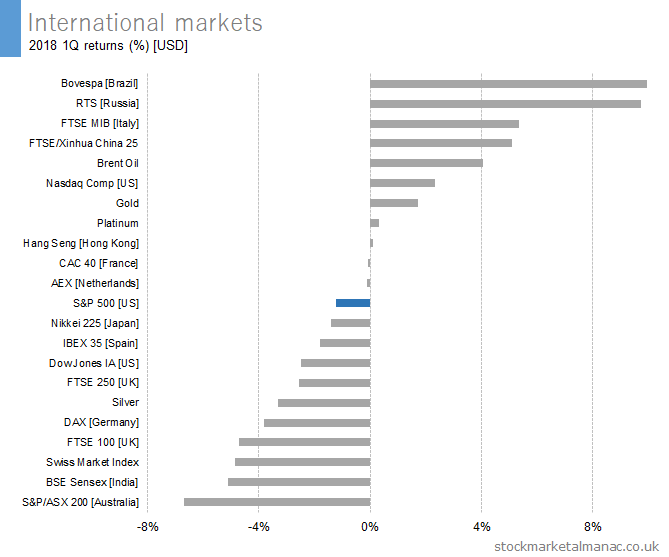 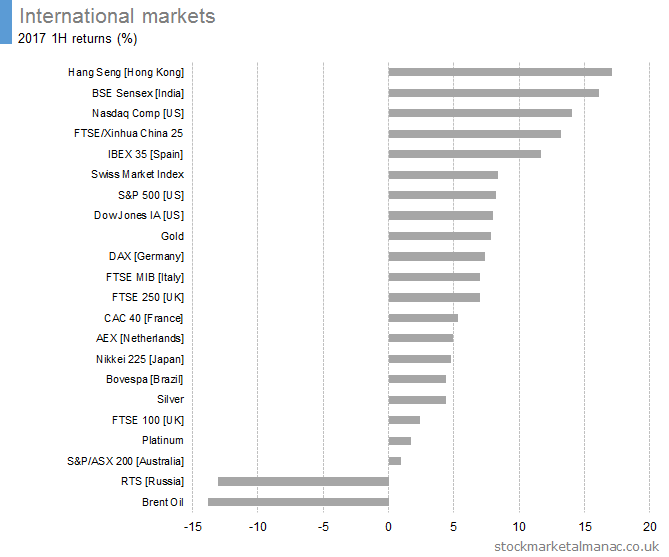 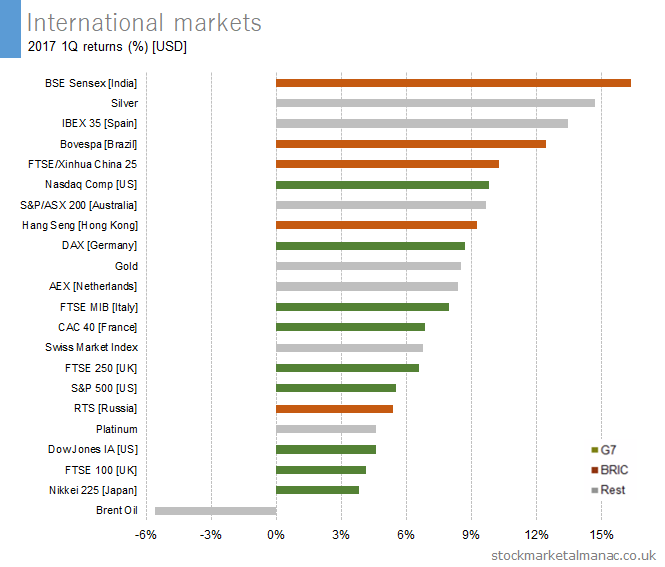 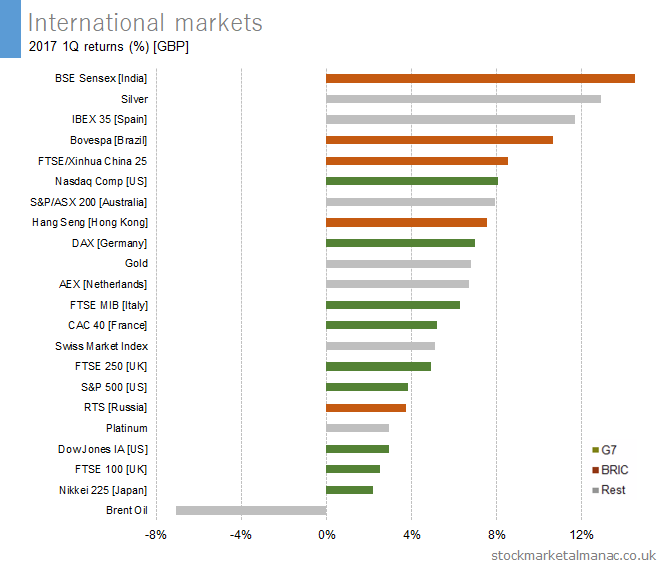 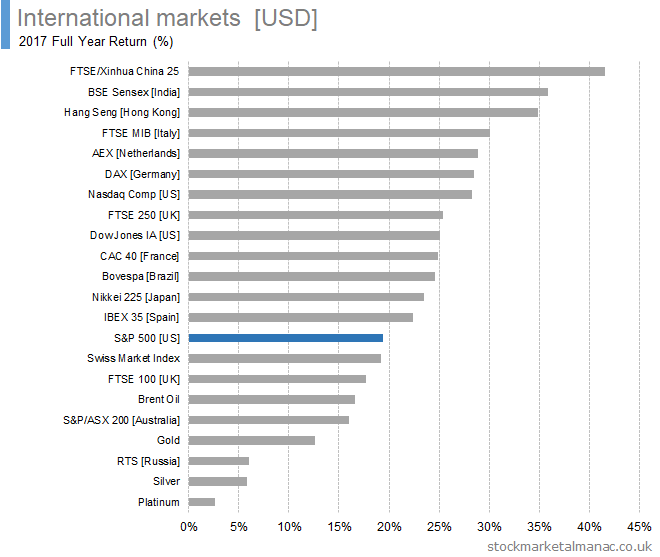 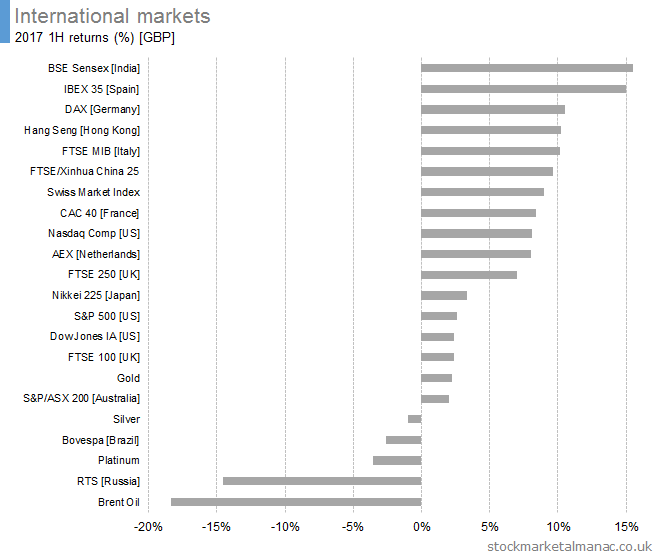 The following charts plot the performance of a selection of world markets in the first half 2017. 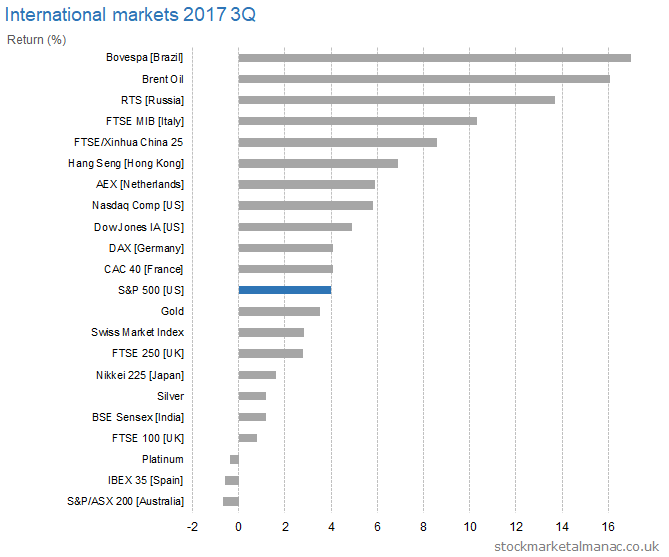 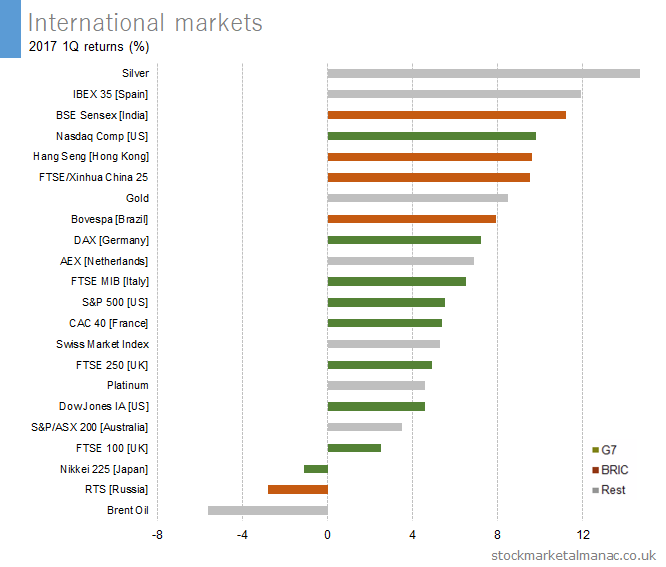 The following charts plot the performance of a selection of world markets in the first quarter 2017.